We double dare you to find something cuter than these ridiculously awesome LOLcats seen squatting atop renowned architectural monuments around the world. 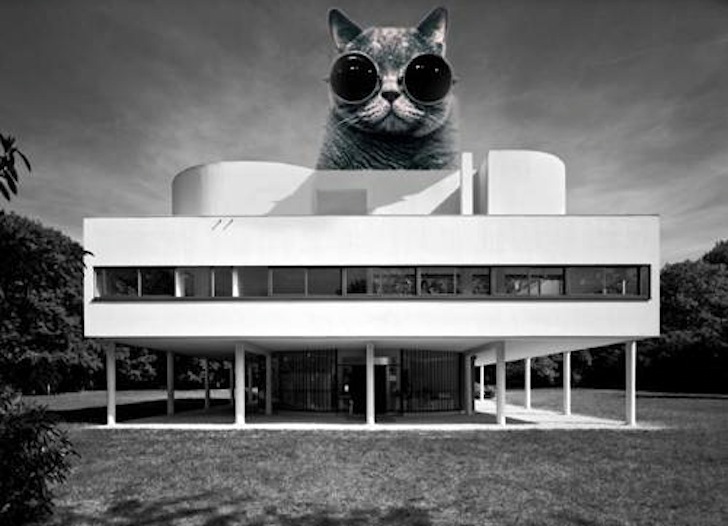 A fun project spotted over on Archinect, the photoshopped felines by UC Berkeley students can be found as far afield as La Sagrada Familia in Barcelona and the Leaning Tower of Pisa! Hit the jump for a tiny sample of these lighthearted images, and if that doesn't satisfy your humorlust for the day, why not head over to Furrrocious Forms on tumblr to see the whole range. It turns out that LOLcats have a long history dating back to the 1870s when Harry Pointer first tried his hand at photomontages depicting cats in unusual poses and accompanied them with humorous text messages. However, the term LOLcats – a composite of the antonym LOL (Laugh Out Loud) and cat(s) – wasn’t officially immortalized until 2006, when the anonymous image board 4chan first used the term, according to Wikipedia. Soon after that, Lolcats.com was born. 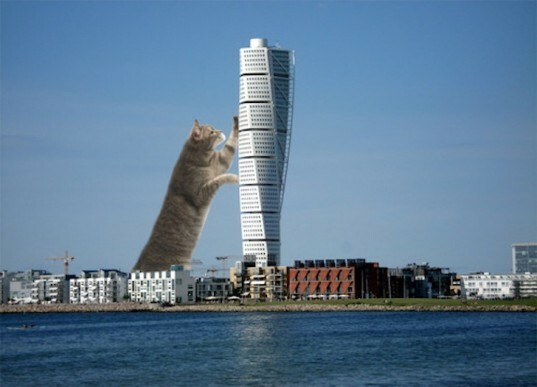 But this is the first time we’ve seen kittens and buildings together and we’re pretty much in love. If you love these crazy kitties as much as we do, you can submit your own to LOLcat design to Furrrocious Forms by following this link to their tumblr page. LOLcats at La Sagrada Familia!